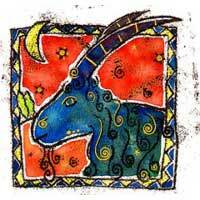 Capricorn influence issues concerning friends, hopes, desires and aspirations. Saturn opposite Neptune shows a harmonious relationship. There is balance, and signs are favored from the stellar point of view. Saturn represents realism, and it completes with Neptune, which represents idealism. It is likely that together you manage to build a home and a happy family. At first glance, the signs are different. Saturn is associated with discipline and Neptune with illusions, freedom to wander, dream, and ramble poetically. 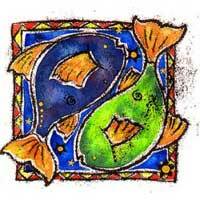 But after closer examination, one can see similarities: Capricorn is grumpy, Pisces is sad. Pisces and Capricorn bring joy to each other. There is a great physical attraction between them and a good chance of harmony in the couple. Capricorn will see him as a wise person and will associate him with short trips, he is proud to introduce you to relatives and friends. For you, Capricorn represents an opportunity to fulfill your wishes; you only see advantages, because he is a good financial advisor. He will make your dreams come true, he will turn them into something tangible such as money or possessions. The relationship needs time to develop, and Capricorn is patient when it comes to romance. In conclusion, a relatively favorable relationship for both of you.